After a long, hard day at work or after physical exertion, your clients will be coming to your spa, seeking relaxation. As an esthetician, you’re skilled at what you do, but providing multiple massages can prove to be tiring on your hands and joints, especially if done for a long period of time. The advanced Body Massager (F-833) from Natali Products makes it easier for estheticians to perform a body massage efficiently and comfortably, which is also very important. In addition to providing a relaxing experience, try incorporating it into a spa treatment to help reduce the appearance of cellulite. A convenient removable plastic bin rests on a well-constructed wire ‘basket’. This bin allows you to store the included interchangeable vibrating heads. This body massager has a large, cylindrical head on which you can connect any of the below attachments for added convenience. 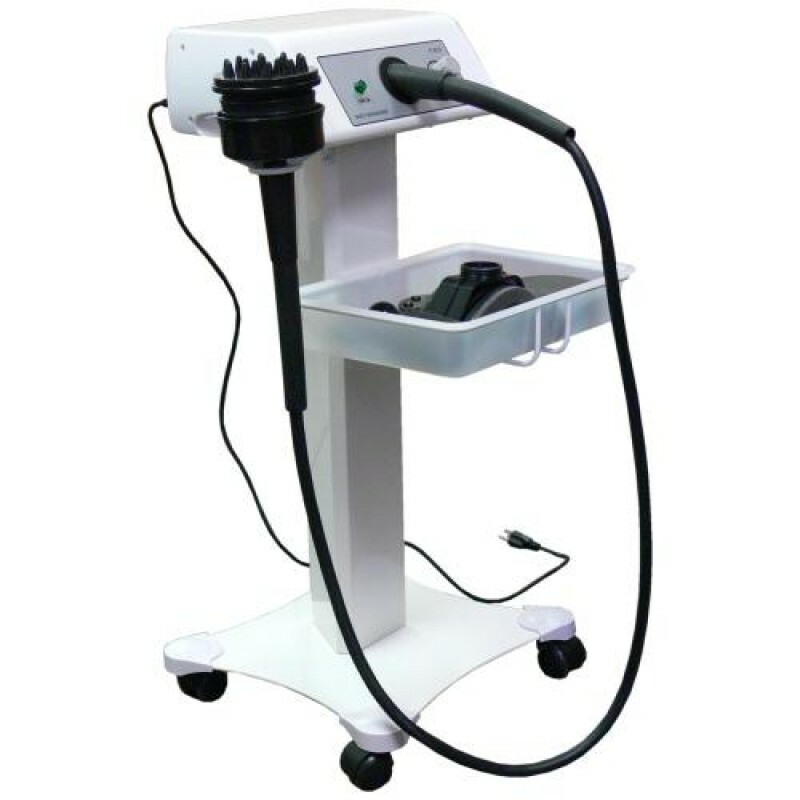 The body massage machine has a handle that’s comfortable for estheticians to hold during the entire session, which also helps fight fatigue. And you can hang the handle on the wire ring, located on the left of the machine. A large cord connects to the base of the professional body massage machine, which keeps it neat, and therefore helps to prevent accidents. There’s a P/Lamp green light indicator, and you can adjust the energy dial to minimize or maximize the intensity on a scale of 0 to 5. Buy the Body Massager F-833 from Natali Products today, and give your clients effective body massages comfortably and easily!